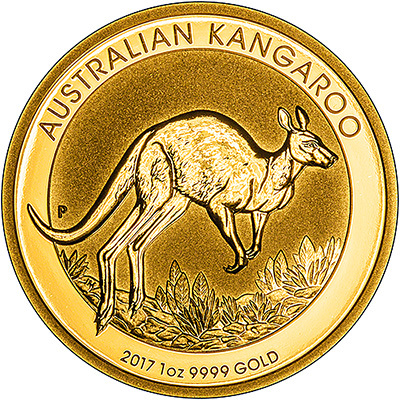 These are 2017 gold kangaroo nugget coins as issued by Australia's Perth Mint. We received our first delivery of coins on 21st October, 2016. The 2017 Perth Mint nuggets (or kangaroos) feature a kangaroo, bounding across the outback. 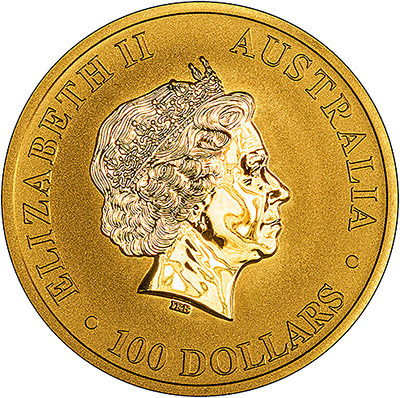 The Ian Rank-Broadley portrait of the Queen is on the obverse. We will also have the 2017 Year of the Rooster gold coins in stock. * We do not keep these sizes in stock, but are able to order them from the mint. Please contact us if you wish to order.